In this session you will learn Clojure by following along with Uncle Bob, step by step, and test-case by test-case, through the design of a simple Swing/Clojure orbital simulator app. Along the way you'll learn the value of Functional Programming, how (and why!) to design applications that use it, and why Clojure is the next important language that you should master. This session will be extremely challenging! Plan on requiring an hour or so of down-time to allow your neuronal excitation to exponentially decay to safe levels. 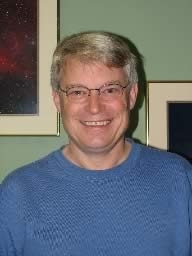 Robert C. Martin (Uncle Bob) has been a programmer since 1970 and is Master Craftsman at 8th Light inc, founder and president of Uncle Bob Consulting LLC, and Object Mentor Inc., international firms that offer software consulting, training, and skill development services to major corporations worldwide.